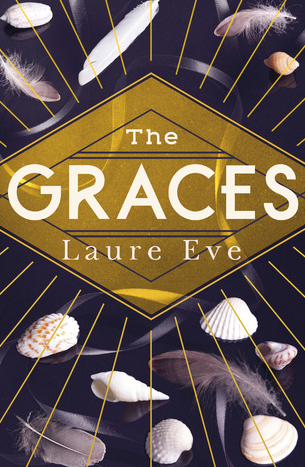 The Graces are a family who ooze glamour and everyone wants to be around them, including new girl River. The Graces lead a seemingly perfect life, although there are often rumors of them using magic which seems to only attract River to them even more. In The Graces we follow River as she joins her new school in Cornwall and see how she goes about trying to befriend The Graces and also win the affections of Fenrin, the brother who everyone seems to love and has a different girlfriend every week. I thoroughly enjoyed reading this book and I found it was one of those that I kept reaching for and reading big chunks of it at a time. It was very easy to read and it was a lovely slow burner, one of those books that doesn't have a giant event but is more of a slice of life type of books if that makes any sense? The magic elements of this book are nice and subtle too, this is more of a magical realism book that takes inspiration from the Wicca style of magic rather than a more fantasy style with wands, secret locations etc like what is seen in Harry Potter. My one criticism of this book is the way it ended. This book is going to have a sequel which I am very skeptical of. Personally I think this book could have easily been a stand alone and I feel like the way it ended was very out of character for River, but I appreciate that it is setting itself up for the sequel. If the sequel is great then the ending of The Graces is fine, we will just have to wait and see. My feelings on the ending are not enough to put me off this book though and overall I really enjoyed it. If you are looking for a book with magic realism or a nice slower paced book this is a good one for you.